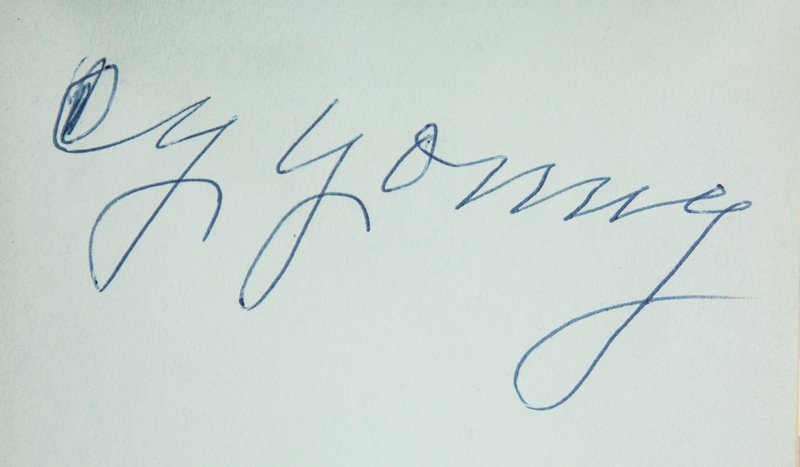 The inaugural class of the National Baseball Hall of Fame in Cooperstown, New York, was elected in 1936 and consisted of five of the greatest players to ever lace up a pair of cleats. 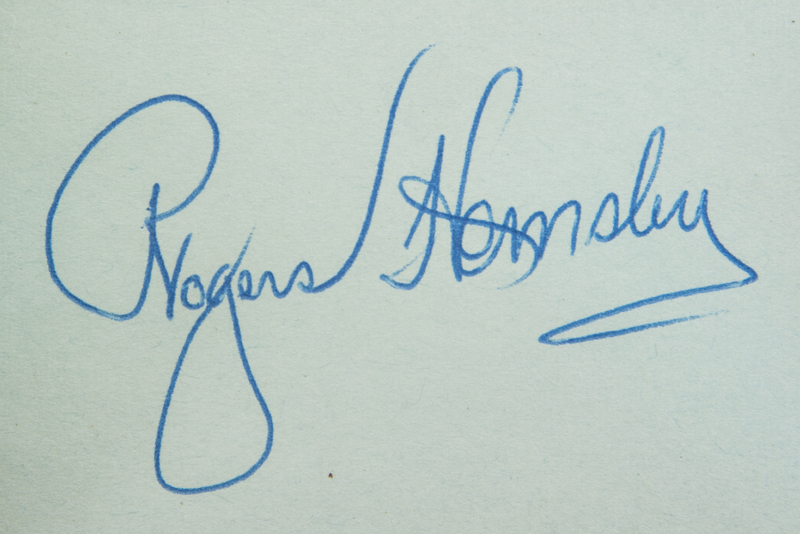 The first class consisted of Babe Ruth, Honus Wagner, Ty Cobb, Walter Johnson, and Christy Mathewson, a quintet of excellence that set the bar extremely high for future induction into the Hall. 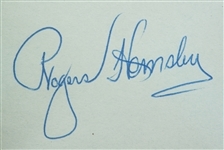 While the five players were honored in the media, it was not until three years later in 1939 that the first induction ceremony was held. 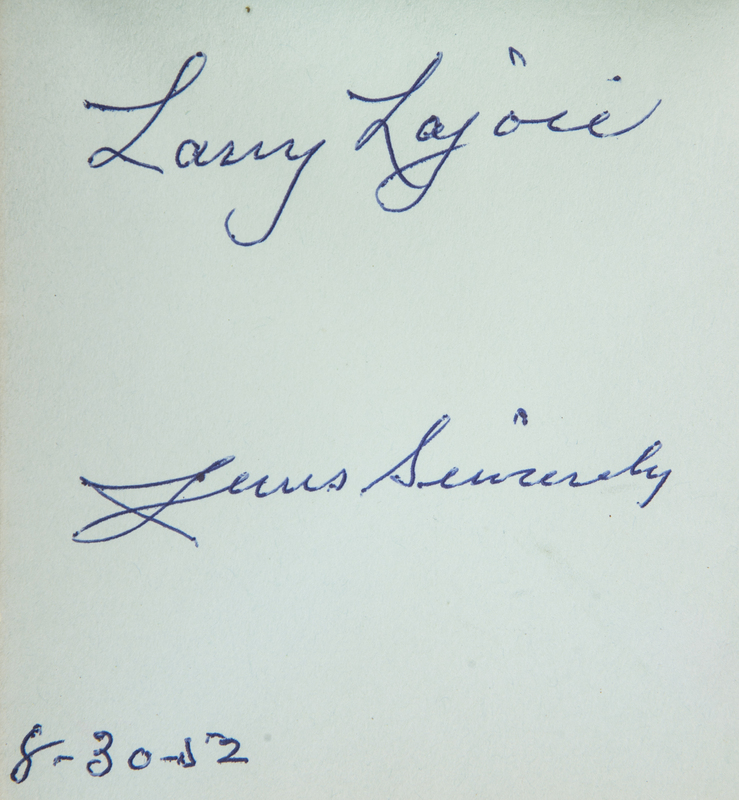 By the time 1939 rolled around, stars such as Nap Lajoie, Cy Young, Pete Alexander, and Cap Anson had earned their well-deserved induction into baseball’s most hallowed club. 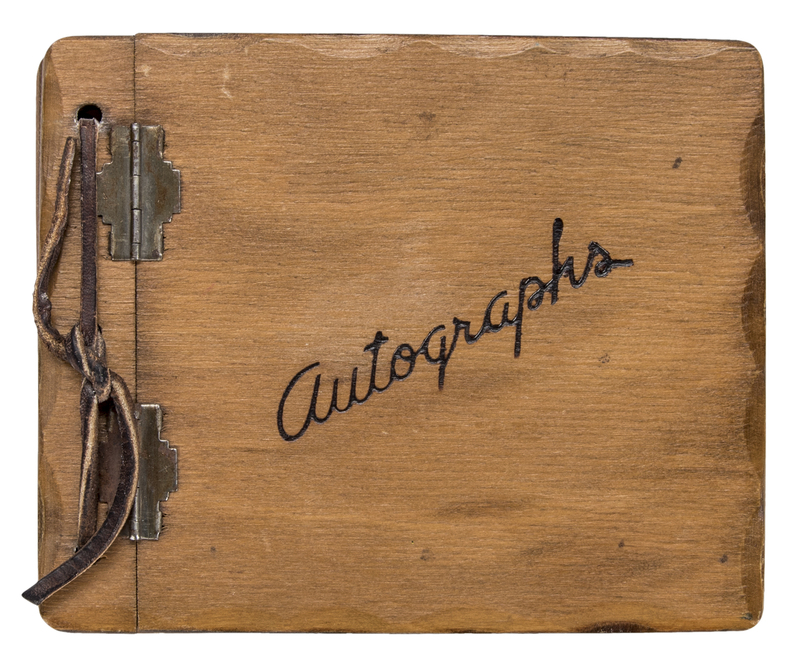 This stunning autograph book has been signed by 31 of baseball’s greatest players, including seven attendees of the fabled 1939 Cooperstown induction ceremony. 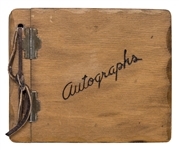 Among the signatures in this hinged autograph book are the Hall of Famers Honus Wagner, Ty Cobb, Cy Young, Rogers Hornsby, Joe Cronin, George Sisler, Frankie Frisch, Al Simmons, Lefty Grove, Napoleon “Larry” Lajoie, Hugh Duffy, Chief Bender, Ed Barrow, Connie Mack, Clarke Griffith, Charlie Gehringer, Ed Walsh, Hank Greenberg, Carl Hubbell, Ralph Kiner, Al Lopez, and George Kell. 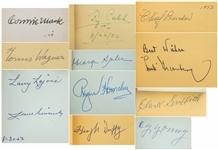 Additional signatures include the legends Pepper Martin, Mel Parnell, Arlie Latham, Dixie Walker, Bobby Shantz, Jimmy Piersall, Nick Altrock, Robert Wentz, and Harvey Kuenn. Please note that the signatures of Joe DiMaggio and Ted Williams have been deemed clubhouse versions by JSA. 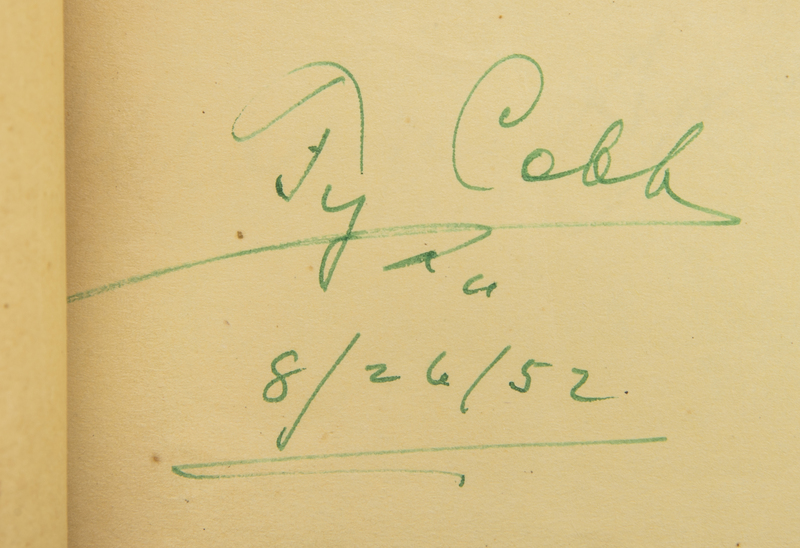 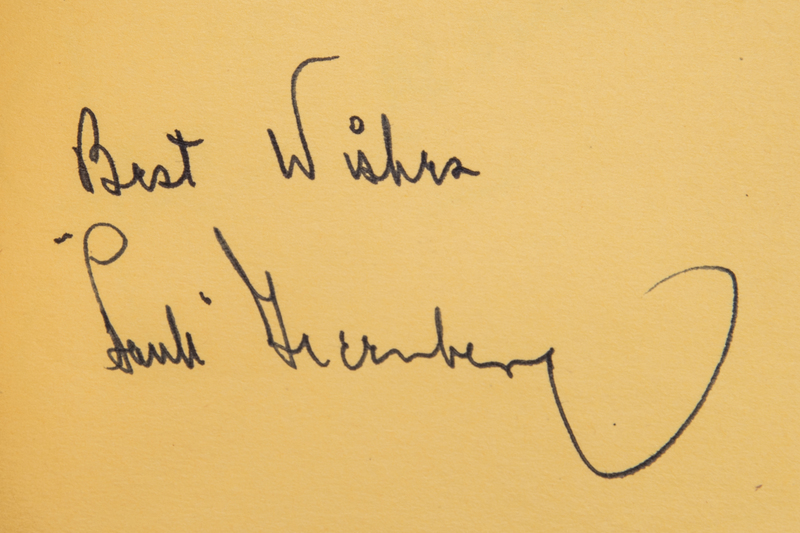 Several of the players have written brief inscriptions, including Greenberg (“Best Wishes”) and Cobb (“8/26/52”). 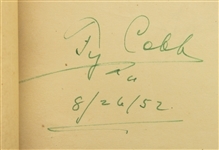 The signatures have been written in primarily blue and black pen, however Cobb has signed with his trademark green pen. 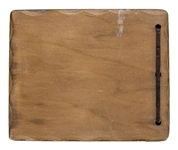 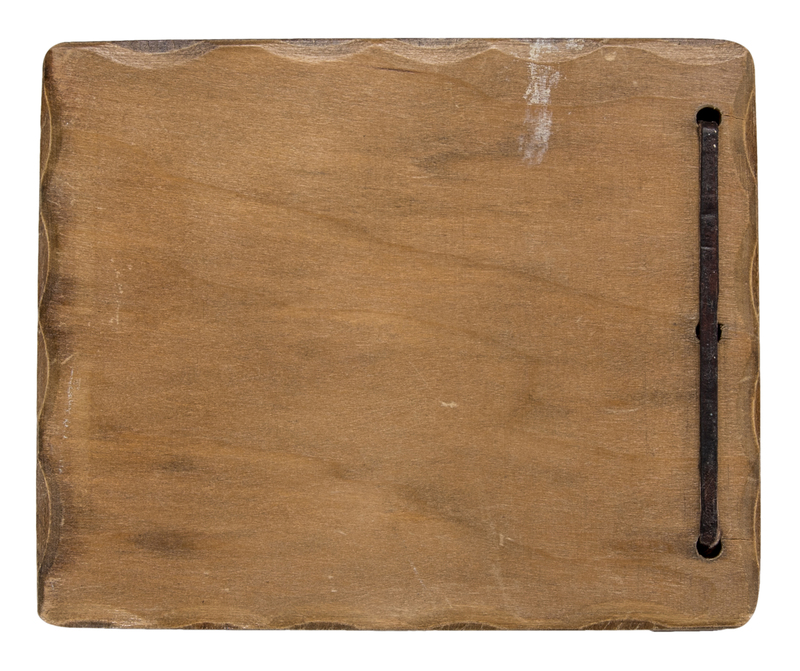 The autograph book features a vintage wooden cover etched with “Autographs” and a pair of hinges on the spine. 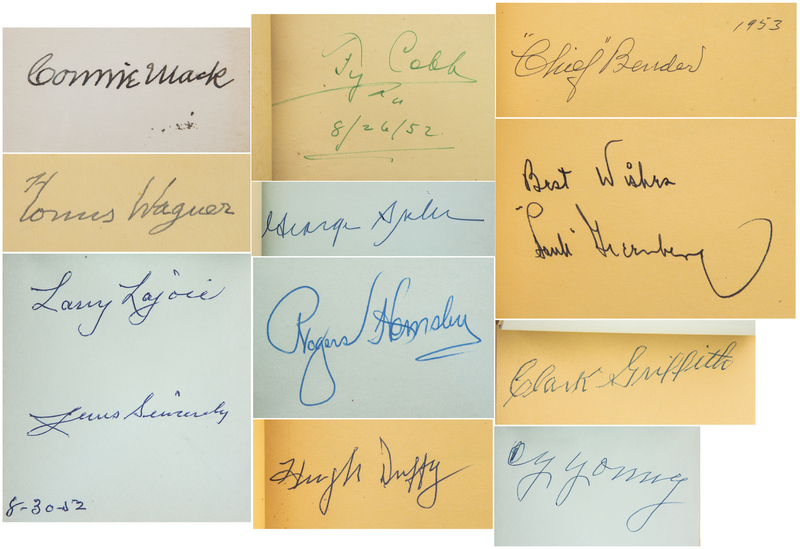 This book is a veritable treasure from the early days of the National Baseball Hall of Fame and Museum. 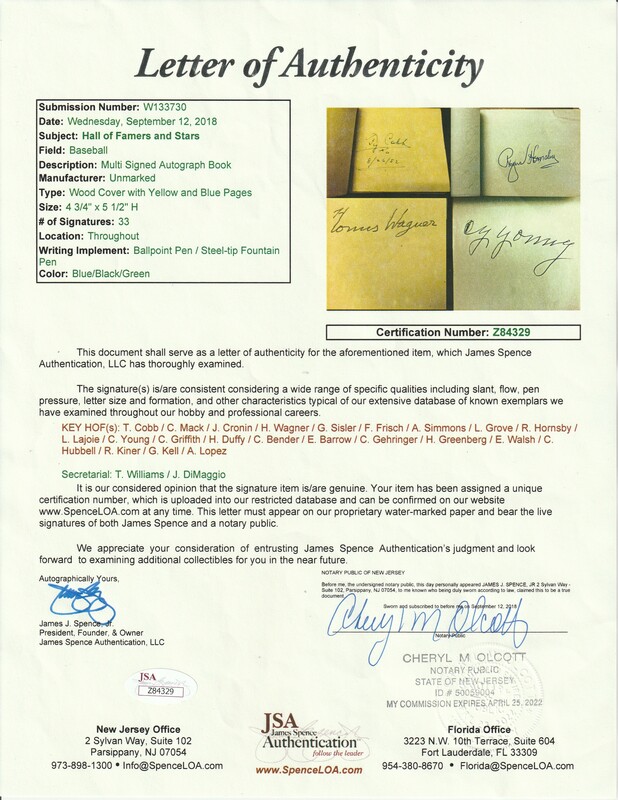 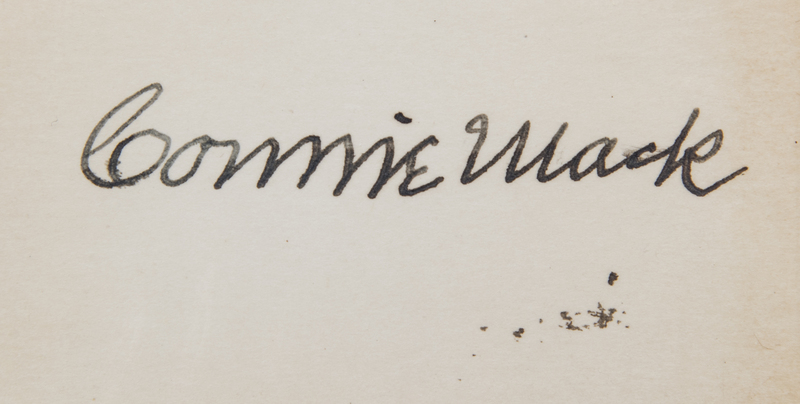 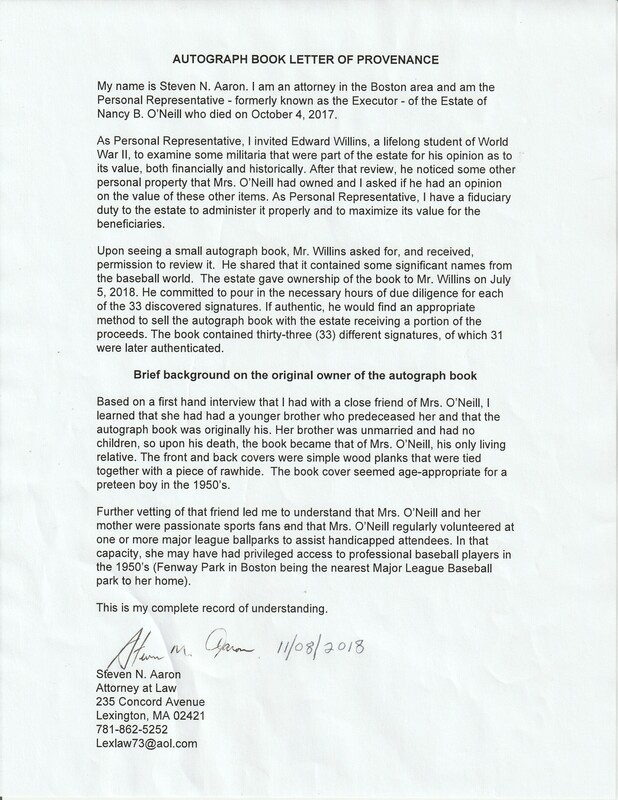 It is accompanied by a full LOA from JSA and a letter of provenance from Steven N. Aaron, an attorney and personal representative of the Nancy B. O'Neill estate, who details the history of this book.